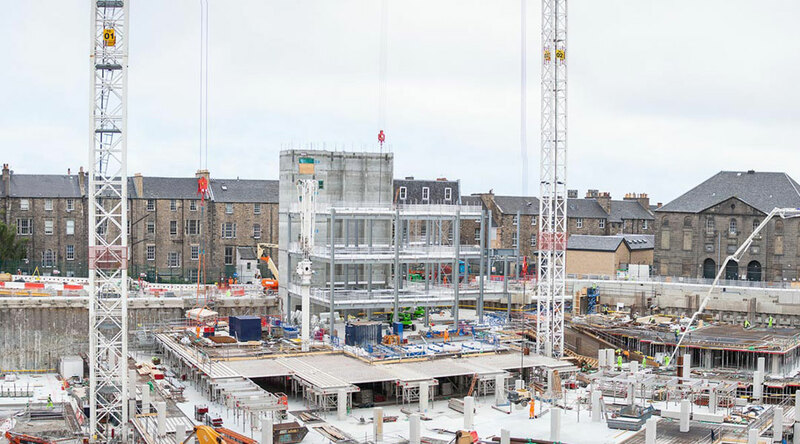 Following on recent news of construction commencing on the 1.7 million sq ft Edinburgh St James development, 15,000 tonnes of locally fabricated steel has been delivered on site for the new phase in the regeneration of the east end of Edinburgh. The 15,000 tonnes of steel make up some 33,000 individual pieces which have been all smelted just 45 minutes away from the project by BHC in Carnwath, South Lanarkshire. In practical terms the total quantity of steel is equivalent in weight to 7,500 cars, or 3,000 elephants. 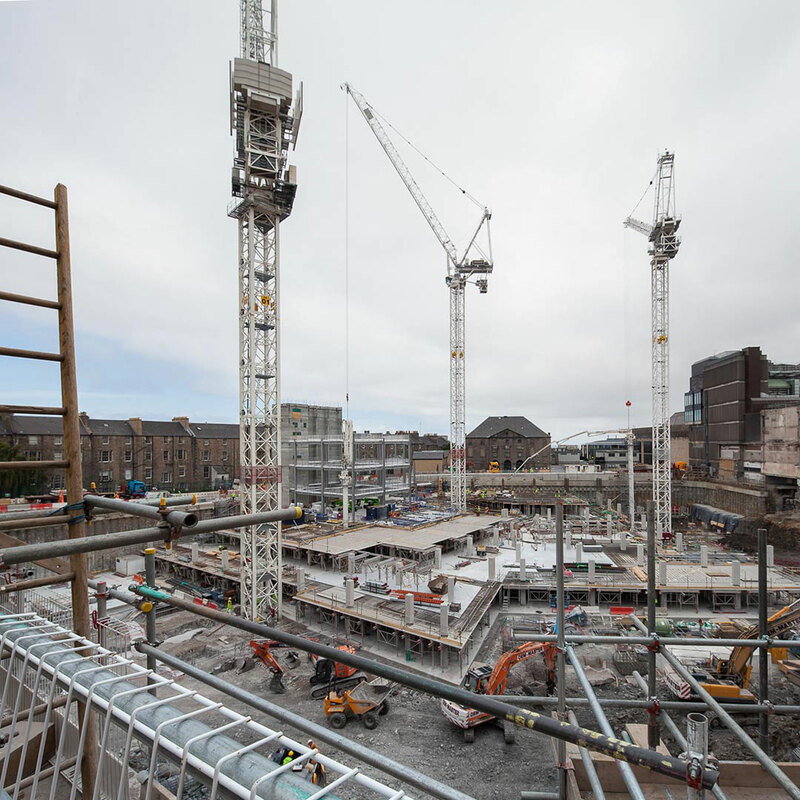 With 400 workers on site and four new tower cranes having also arrived on site in recent months, including one of the largest tower cranes in Europe, the project’s main contractor Laing O’Rourke will be able to begin installing the steel and continue overseeing the building of the development. Martin Perry, Project Director, Edinburgh St James, said: "The steels arrival is essential for us to continue progressing construction at Edinburgh St James and we can now begin work on the steel structures that will slowly start to see the building outlines emerge, giving the public a glimpse of what the final development will resemble in 2020. Edinburgh St James is a massive project, in terms of scale it will use 4,000 tonnes of steel more than the Shard – Western Europe’s tallest building. It will be a new landmark for the city, helping to open up the East End of Edinburgh, and we look forward to making further announcements about progress on site ahead of the project’s completion." 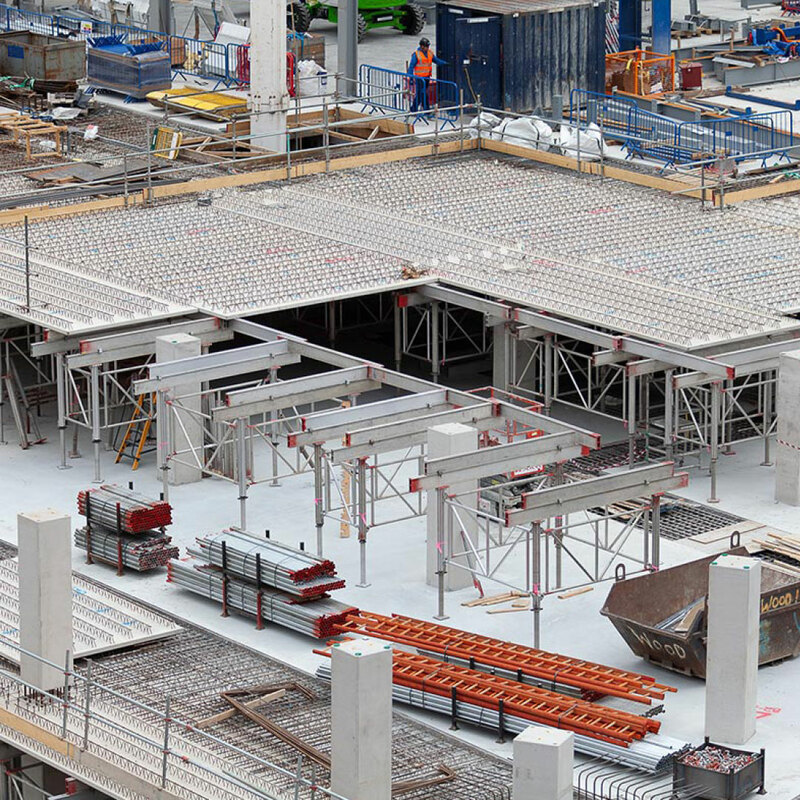 Tim Kelly, Project Director, Laing O’Rourke said: "The steel arrival is an important milestone in the construction stage of the development, as it gives us the material to keep on track to finish works by 2020. It’s also been very rewarding to have been able to work with the local community by sourcing the steel resources we need for this project from Carnwarth. We’re working with the local community to provide both the workforce and resources to transform Edinburgh city centre." Cllr Kate Campbell, Housing and Economy Convener, said: "It is great to see work progressing so well on this key project, which will bring so much economic benefit to the city. Edinburgh St James will transform the East End of the city centre, creating up to 3000 permanent jobs in the retail and hospitality sectors and represents one of the largest inward investments to Scotland for many years."